As we embark on a New Year, it’s time for us to talk again about some of the changes planned for the near-term future of Star Wars: Galaxy of Heroes, and what the Road Ahead looks like for the game. Here’s a peek at what’s to come. We are extremely excited to announce that we are working on bringing you a brand-new raid experience. 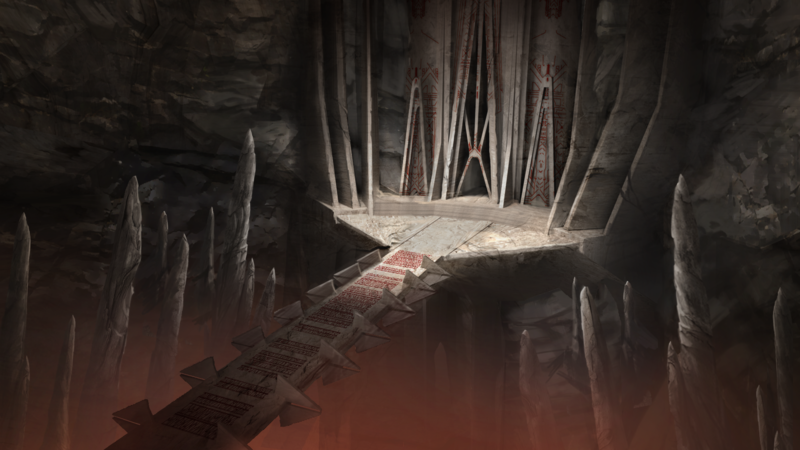 This new raid takes place in Star Wars: The Old Republic timeframe and allows players to take on the Sith Triumvirate of Darth Nihilus, Darth Sion, and Darth Traya. The raid will come out with our upcoming Quality of Life update. Expect to see some more updates on what the content will look like – and please keep an eye on forum announcements for more details! We spend a lot of the year focused on new features, and while we are keenly interested in bringing new content and experiences to the players, we acknowledge the need to address opportunities to improve the existing game experience: finesse new features after they’re live and find time savings in older features so that players can spend their time where they choose. Fix for the Raid Tickets display – In January we rolled out a partial fix that will be followed by a full fix to guilds that will serve as a time saver for officers and leaders in managing player activities. Additional Simming – Time savings in routine activities were a big part of last year’s Quality of Life update, and this one is no different. Galactic War is one of the largest player time sinks we’re looking to alleviate, but we don’t want to take away the experience entirely since it’s a place for people to experiment with their team makeup. After beating Galactic War a certain number of times, the entire Galactic War will be simmable for full rewards. Multi-simming will also be brought to ship challenges (unrelated to progress on the capital ship events) to bring it in line with the daily challenges which already have multi-sim capabilities. The Credit Heist and Training Droid events will now also be simmable. Pre-Battle Text Search – On the squad select screen, players will now be able to bring up a filter that searches for any character name or tag. This will help ease the creation of squads without having to go in and out of the character inventory page. Successful Defenses – For those of you wondering how well your defensive squads fared against your opponents, we will now be displaying the number of defenses that each squad has had, to help inform your future Territory Wars experiences. Tie Breakers – While fewer than 2% of battles are currently ending in ties, we know that it disproportionately affects some of the higher GP guilds. Leveraging the successful defenses system, we are now introducing extra banners for beating a defensive squad the first time. This means that when two squads have a tie, the one that beat the other with the fewest losses, will win. Increasing Defensive Squads for Top Guilds – As top Guilds have so many squads, the average of four defensive squads per players isn’t allowing them to fully demonstrate the strength of their rosters, is not challenging them, and can lead to ties. We’ve increased the number of defensive squads required per person at the top tier of play. There are more fixes and improvements coming in the Quality of Life release, and those will be detailed more fully in the release notes. We recently made the following Character Shards available in Shipments. Going forward, you’ll also see them in more traditional farmable locations. These characters will also continue to appear as rewards in their respective recurring events. After listening to feedback and collecting player data, it’s clear that our efforts to make the distribution of these faction-defining characters special - by having them farmable exclusively behind recurring events - has caused confusion on how Marquee characters are released. In the future, we will be working harder to preserve the integrity of the Character Release Cadence, by ensuring that characters released via Marquee events cycle through the game in a more standardized fashion, within clearly defined periods of time. Characters released via Territory Battles, Legendary events, Hero’s Journeys, and other special occasions will continue to have a more unique and challenging farming schedule. Thanks for helping us kick off another exciting year, and as always, we’ll see you on the holotables!